Watercolor/ acrylic/ Fabriano 140 lb. 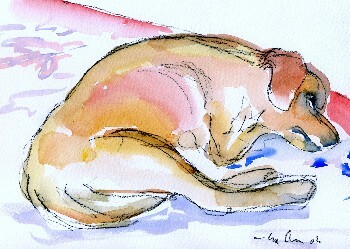 CP, 7" x 4"
Watercolor/ Fabriano 140 lb. CP, 8" x 10"
Copyright© 1997-2006, all rights reserved.Uncle Ham's. Uncle Ham's is a trademark. Property of Ed Touchette Design.